Mosher Electric Inc. has served our customers since 1928 with a highly qualified staff, providing safe and reliable electrical installation and service. For the past 85 years, we at Mosher Electric have invested in our customers by providing a superior service and quality of workmanship. As we celebrate our 85th year in business we are reminded of the quality service we have provided in Monroe County through three generations of the Mosher Family along with our highly skilled and knowledgeable employees. We are a proud member of the Monroe County Chamber of Commerce! MDEC Electrical & Lighting has been providing electrical and lighting services to the residents of the Michigan region for a long time now. We not only provide electrical construction services but we can also provide you with the best electrician for your residential and commercial needs. Additionally, our services go a whole lot further than just electrical services. We have provided electrical construction and energy for such a long time now that we have seen the evolution of what power can do for a community. 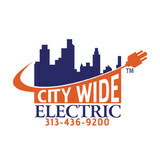 Our goal is to continue to provide you with all your electrical needs, whether they are small or large. 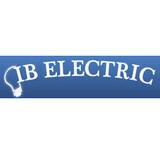 If you need an electrician, we will have the best ones for you. If you need reliable energy, we will provide it for you. We know that with our reliable service, you will not only be able to contribute to your community but you will also enjoy the gains and the comforts we have all worked hard for over the decades and centuries. What’s more is that our service is also quite cost effective through the wide spectrum of services that we offer. This means that you never have to worry about whether we are going to be affordable for you or not. You can rest assured that you will have the best-quality service at the best possible value. Therefore, if you are based in Livonia, MI or its environs, be sure to get into contact with MDEC Electrical & Lighting, Livonia, MI and have us serve all your electrical needs. We look forward to serving you now and we look forward to seeing you through to the next generation of your power needs in the future. Working with electricity isn’t generally a do-it-yourself kind of task. Small jobs, such as swapping out a lightbulb, are safe and easy enough, but intensive electrical work is better left to a professional Redford electrician. When you consider the things that can go wrong, from fire to serious injury, hiring an electrical contractor seems like a wise investment. If you’re in need of a residential electrician in Redford, MI to help get your household’s electricity in tiptop shape, read the following information to help you find the most qualified professional for your job. What do licensed Redford electricians do? An electrical contractor plans, installs and repairs wiring in structures. He or she works closely with the home’s general contractor or remodeling contractor to determine the specific electrical needs for the project and to ensure that the wiring will meet Redford, MI building codes. An electrical contractor’s job also includes installing and repairing fixtures, switches and other visible components of electrical systems. With today’s technological needs and advances, many electricians in Redford, MI also are trained to install fiber optic and coaxial cables for electronic equipment. Certain electrical companies may design and install data systems and wire for security features such as alarms too. Some Redford electrical contractors specialize in specific areas, such as HVAC, low-voltage appliances and systems and more, so be sure to ask about their training to see if it fits your project needs. Find a certified Redford electrician on Houzz. 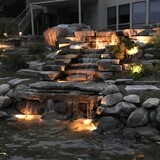 Narrow your search in the Professionals section of the website to Redford, MI electrical contractors. Here are some related professionals and vendors to complement the work of electricians: Lighting Showrooms & Sales, General Contractors, Solar Energy Contractors, Heating & Cooling Sales & Repair.